A few months ago I had the opportunity to share a bit about Accessible Japan at the Barrierless City Awards. One of the main presenters that day was Yuriko Oda (織田友理子) who has GNE Myopathy/HIBM/DMRV. Yuriko is the president of the ‘Patients Association for Distal Myopathies’ (PADM) and is also a member of the TREAT-NMD Executive Committee. 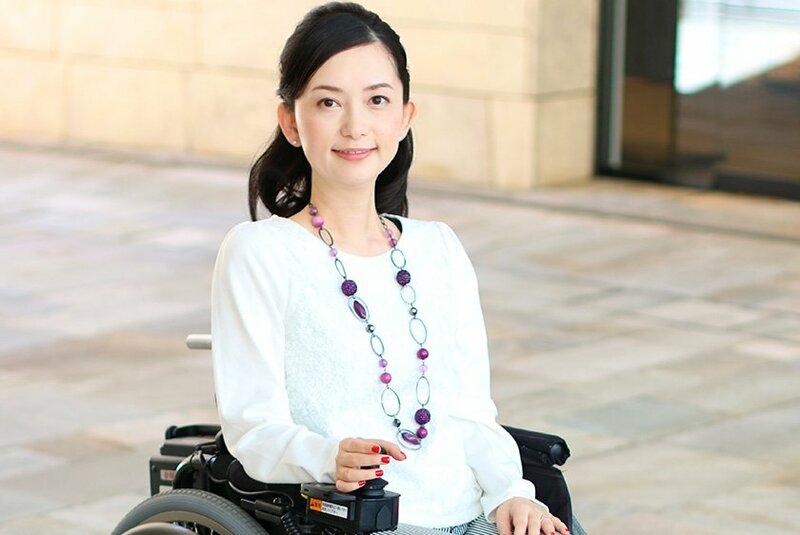 She shares about disability and accessibility on her Youtube channel, Wheelchair Walker, including some with English subtitles. Yuriko works hard advocating for accessibility for people with disabilities. Yuriko was kind enough to take a few minutes from her busy schedule to answer a few questions. After reading the interview, please be sure to watch her videos and subscribe to her channel! Thank you for agreeing to this interview! First of all, tell us who you are and where you are from. You are welcome. I am glad to be interviewed by you. 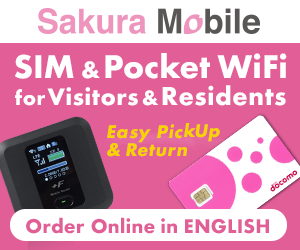 Your site, Accessible Japan is amazing! I saw your site 1 year ago, I was so surprised because I thought I would like to introduce to the disabled about how accessible Japan is. I am Yuriko Oda and I am from Japan. I am the president of PADM (Patients Association for Distal Myopathies) and I have my YouTube channel where we make videos for the disabled, called the Wheelchair Walker. I am married and I have a 9-year-old son. When and how did you start to use a wheelchair? 10 years ago I began to use a wheelchair and 2 years after that I got my first electric wheelchair that was made by Yamaha – a Japanese company. I like it very much because it is fold-able, so if I take some public transportation that is not wheelchair friendly, my husband can pick me up and put me in the seat, while my wheelchair is folded and placed in the trunk. A video made by Yamaha of Yuriko using her wheelchair. It must have been a shock to find out you had GNE Myopathy. Why did you decide to work this hard afterwards? I wasn’t really shocked that much because I could walk, so I didn’t realize how serious my disease was/is. After 2 years, the doctor told me that I should get married as soon as possible because of the progress of my disease. That was the moment when I became shocked. I couldn’t decide to marry my boyfriend so quickly but we did after 6 months. 1 year later, my son was born. I knew that my disease, GNE Myopathy/HIBM/DMRV, is progressive and there is no cure. Japanese scientists published a research on mice. It is rare and very difficult to treat but they had good results about my disease, however, no pharmaceutical company is interested in researching a drug for my disease. My friends who are also patients and I established PADM to find a pharmaceutical company willing to help us and raise awareness about our disease. 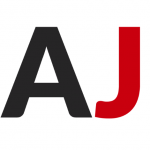 Now a Japanese and US company is working on a clinical trial. I am convinced that if we don’t give up we can change our future. So, that’s why I can never stop working hard. What is your main job right now? I have presentations and I wrote 2 books and many articles. And we built a new application for wheelchair users – Let’s create barrier free / accessible maps. I can only do so much. So, I came up with the idea of an app that would allow people to help wheelchairs users. I proposed the project to a program at Google that targets social problems, named Google Impact Challenge. It received the grand prize, along with financial support. We post the data, we mark the lines, we point out the available routes. This app will be released in a year. I have many projects I am involved in, so when I not busy managing the Google Impact Challenge, I am dedicated to my Wheelchair Walker YouTube Channel and I am filming our surrounding, wherever I go in order to provide more information to wheelchair users about the accessibility of different places. I would be very happy if everyone saw it. They are very useful for everybody not only the wheelchair users. Some of them have versions with English subtitles and we are working on adding subtitles to all of the videos. Some of the videos feature explanations on boarding airplanes or riding in bullet trains in Japan. Actually, all these videos will be available on the project I am currently working on, making barrier free maps and even better, all the users will be able to upload their own videos on that app. OK, so you are a YouTuber! Yes, Yes, I am trying to be, but I don’t have that many subscribers. I am just trying to attract more attention and raise people’s awareness of barrier-free/accessible places. My channel’s name is Wheelchair Walker and I upload video guides for the disabled. Do you only introduce Japanese locations? No, I went to Europe and the US and I was filmed by my husband in different locations, mainly public transportation. But generally, I introduce famous sights in Japan. 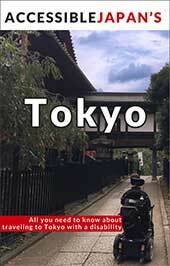 Almost all Japanese transportation systems are available for wheelchair users. The station employees bring a ramp when wheelchair users request it. I always use the public transportation and almost never use any special vehicles. If you want to get a taxi for wheelchair users it is available on request. So, you’ve been overseas… If you compare Japanese accessibility and accessibility overseas, what do you think? I have been to U.S., U.K., France, Germany, Spain, Denmark, Sweden, Norway, Kenya, Korea, Juju, Majorca, Guam, and Hawaii, after I started to use my wheelchair. I was invited and participate to the Global Entrepreneurship Summit 2015 in Kenya http://www.ges2015.org where I had the opportunity to meet the President Obama. I would like to compare toilets, for example. I think Japanese toilets for wheelchair users are the most convenient in the world. Because I need my husbands help, I cannot go inside the separated toilets for men and women. I almost never find any assistance in the public restrooms so I think that the Japanese toilets are the most practical in the world. because they are not separated by gender. I feel very relieved when I reach the Tokyo airport from overseas. And Japanese road conditions are excellent comparing to overseas. Changes by the 2020 Olympic Games in Tokyo. Just hold the door for the wheelchair users or don’t park on the places designated for us and just have us in mind when you build/ construct new places. I think the people reading this will definitely want to support you. How can they do that? Please post images to my app when available! http://b-free.org/english/ The name is “WheeLog”. And, I would like to raise awareness in people about rare diseases, my own Distal Myopathy/GNE Myopathy, DMRV/HIBM, especially neuromuscular disease field! I came down and was diagnosed with my disease in 2002. I could walk at that time. However, I had begun to use my own wheelchair in 2006. They installed the elevator at the nearest train station from my house at the same time! Now, almost all train stations have elevators, toilets for wheelchair users in Japan. It is so useful. I hope that Japan will become more and more accessible in the future. We appeared on a series “Women of Vision”, on NHK World! The video is in English so please follow this link: Women of Vision: Crossing Barriers. Please watch Yuriko’s videos, and be sure to subscribe to her Youtube channel! 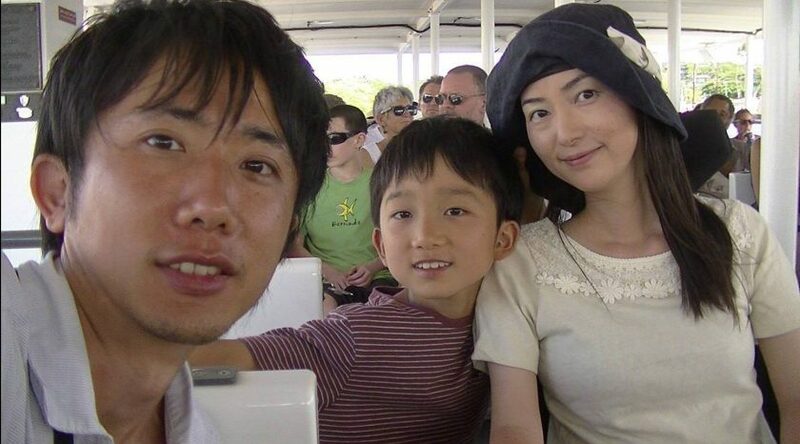 Yuriko with her husband and son.